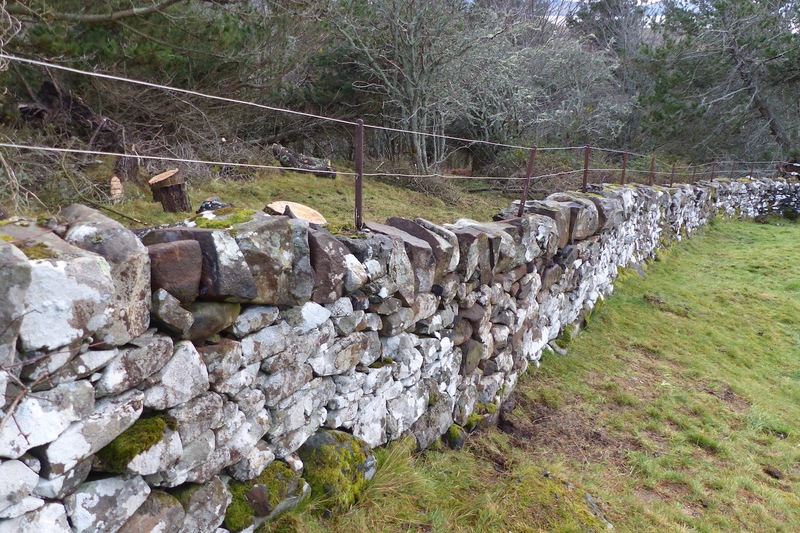 The work on the eastern wall of the graveyard at St Comghan’s was completed on Saturday when a group from Ardnamurchan History & Heritage Association removed the old, rusty wire ‘scarer’ and replaced it with new. 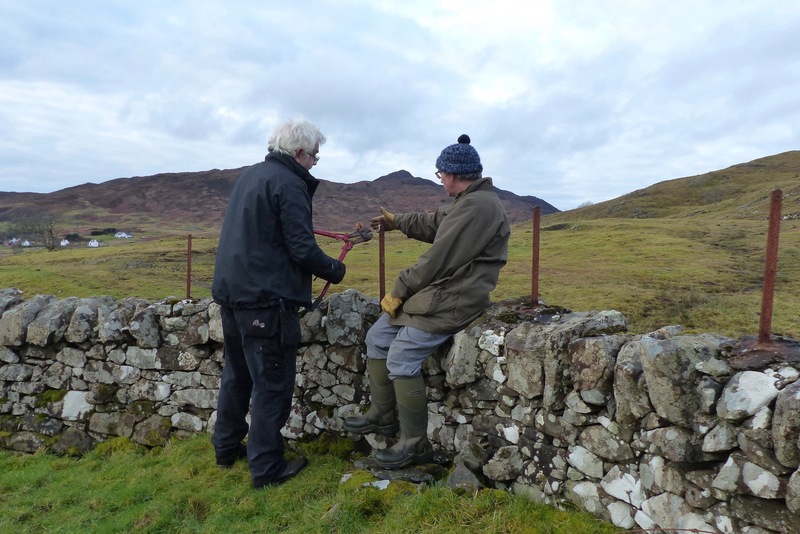 At the same time, since this wire ran all the way round the top of the stone wall, all the wire was replaced. Many thanks to Dale, Iain, Rob and Ricky for their time and energies, and Highland Council for providing the materials.